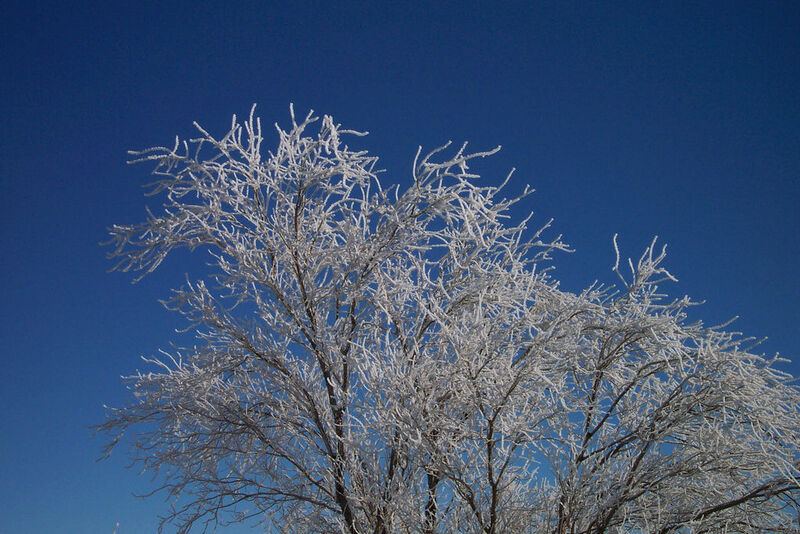 Usually in the UK, winter frosts are not sharp enough to seriously damage fruit trees. It is the spring frosts, particularly in the months of March, April and May, that can seriously diminish crop prospects depending on their severity. The types of fruit that flower earlier compared with apples are most at risk. However in a garden environment it is possible to protect the blossoms from frost damage by covering the trees with a double layer of garden fleece. This should be done in the late afternoon. The fleece has to be opened during the day to provide an entry route for the bees to carry out cross pollination. Prolonged periods of rain can be the cause of various fungal diseases such as scab and tree canker. It is best to use varieties with a reasonable level of resistance to these diseases, rather than chemical spraying. Another weather problem is drought. Light sandy soil can cause difficulties. In these cases it is important to apply extra water, weekly, during the growing season. Water must be available to the trees to create new growth and mature ripening fruits. Strong winds are often the cause of blackened leaves and fruits. Particularly in the more northerly counties and areas close to the sea, consideration should be given to planting a shelter belt to diminish damage to trees and fruit. A walled garden environment is another option. Good staking will be essential for best results. Hail can be very damaging during the growing season. Avoid planting in areas known as hail belts. In warm and shelter positions in the UK any type of fruit can be planted. If this option is not available, then the earlier flowering fruit varieties should be avoided in the more northerly counties. Specialist advice is a way of avoiding disappointment.